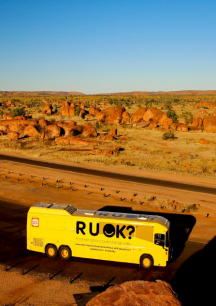 Kilimanjaro Consulting is excited to announce we will be taking part of the upcoming R U OK? Day this year on September 14th. R U OK? 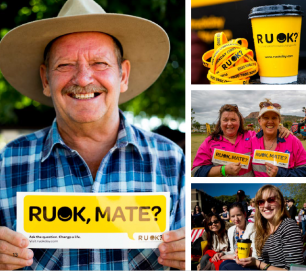 is an initiative to bring together Australians and spread suicide prevention awareness. This initiative embodies our tribal culture which encourages our supportive and collaborative learning environment. The tribe will be holding a morning tea in our office on Thursday as an opportunity to check in with other coworkers that we may not have the chance to chat with on a daily basis. R U OK? 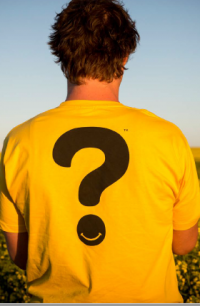 aims to reduce the staggering number of suicide rates in Australia by elevating the stigma around mental health and reminding Australians how crucial a thoughtful conversation between family, friends or workmates can be to someone’s day or even life. The R U OK? the initiative also provides advice on ways to handle the conversation. The numbers behind suicide in Australia are at a haunting increase, they are at the highest ever in the last ten years. According to Australian Bureau of Statistics in 2015, one person ended their life every three hours. These devastating numbers show how important an initiative like R U OK? Day is for Australians to show support and different ways to ask someone if they are ok, and importantly what to do if they say no. Please visit the R U OK? website for viable communication tools and to check out all the great work they do. This message from R U OK “Life’s struggles don’t clock off when we clock on at work” resonates deeply with Kilimanjaro Consulting as we strongly believe that our people are our biggest asset, and we find it vital to encourage all Australians to take care of one another to set a positive and supportive environment for our workplace. R U OK research shows that factors which contribute to preventing suicide include maintaining a strong sense of community and belonging. Considering this, the Kilimanjaro tribe are proud to be apart of R U OK encouraging this attitude and support through our morning tea. Please follow us on social media to keep up to date with our involvement or to find out ways you can be a part of a great cause.